"High-end luxury surrounded by stone walls, funky and interes..."
Have a question for The Library Hotel? "Great customer service, attention to all the details, best New Year's Eve party in town." "Perfect location, Clean, Modern & simple, unique design." "Highly recommend staying at Villa if you have budget." "Elite concept hotel, with great downtown location, amazing b..."
Located on Koh Samui’s popular Chaweng Beach, The Library Hotel is a stylish and modern concept that impacts minimally on its ecology. The 26 suite/studio cabins are spread across an area of lush vegetation. Each cabin comprises of a ground floor suite and a sea view cabin upstairs. The minimalist style of each cabin is made complete with a personal computer, plasma screen TV, a walk-in rain shower, and a Jacuzzi. 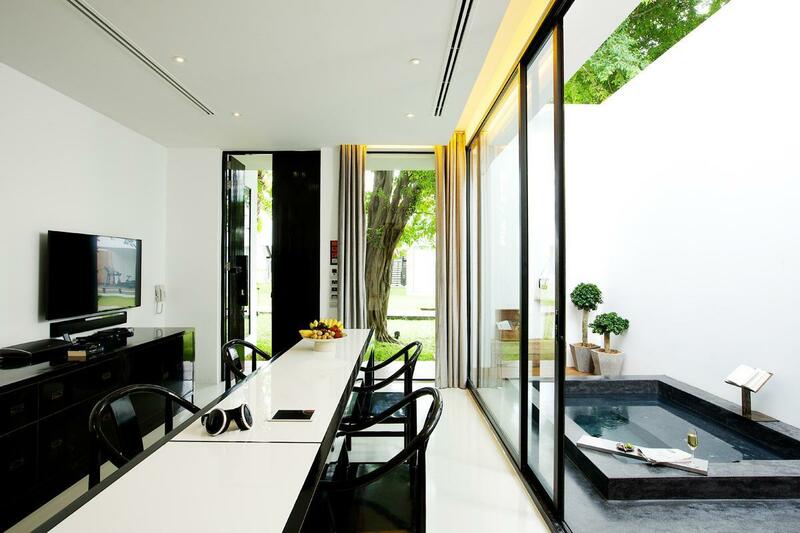 With Koh Samui Airport within minutes by car, this outpost of modernity successfully blends modern design into nature. The Library Hotel is a unique place in Koh Samui ! Not only it is beautiful (the breakfast on the beach was just amazing !) but also you will be charmed by the kindness of the staff to make your stay perfect. Thank you in particular to Por, Rock, Tarn and Ana ! Seamless services we received during our stay at one of their pool villas - we can't ask for more. 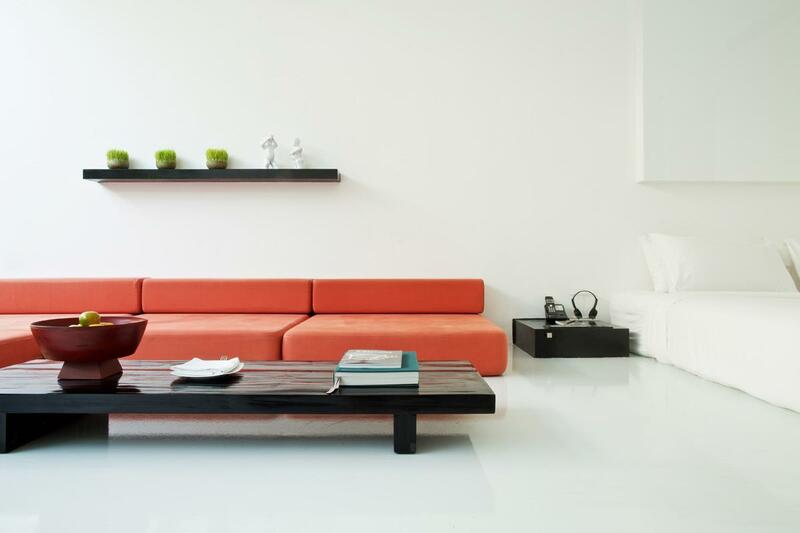 At first, it is the property design strikes into your eyes and heart, it's hard not to fall for it. What made the stay truly enjoyable include seamless services, staff friendliness & helpfulness, facilities, food quality and location, anything you name it. The hotel is highly accessible to both Chaweng beach and popular shopping districts. Good restaurants are all within 10-15 mins walk (on top of "The Page"). I did not get tired of finding things to do during my 4-day stay... very lovely and totally unwind. Highly recommend staying at Villa if you have budget. Otherwise, the Smart Studio will be a great option. It will exceed your expectations. We have been in Thailand six weeks and this was by far the best. 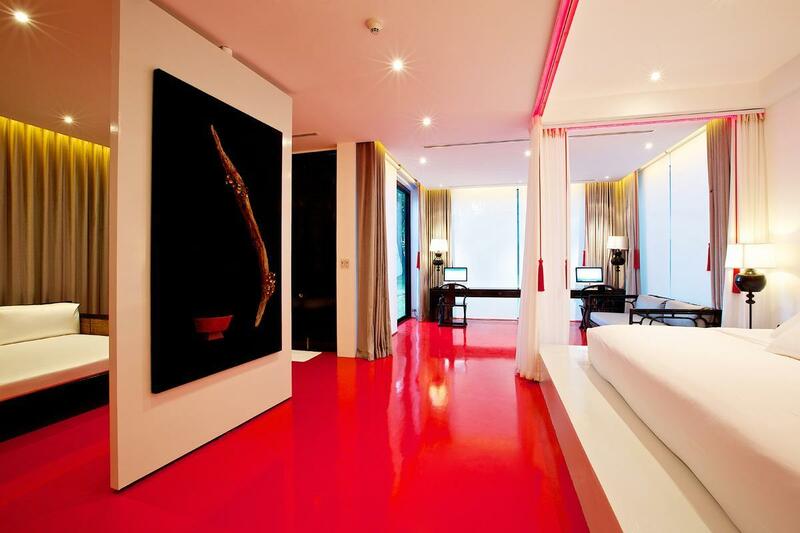 Swim in a red pool of your dreams; eat breakfast in a bed on the beach; chill out in a pristine and modern room that changes colors according to your whim. If you appreciate perfect design, service, and style, go! Worth every scent. Actually, I didn't dislike anything here but just feel a bit less for everything. I have a suite room which is not quite difference from my friend's room who stay in a regular room. Food is ok but can be better for that price. What I like here is the lively beach (Don't expect privacy here in Chaweng Beach area). I'm quite enjoy laying down at the pool side facing the beach, grab a glass of wine and watch people. BTW, It's the best you can find in Chaweng Beach area. We stayed 2 nights in the Library and compare to some other 5-stars hotel, the Library is definitely a good choice. We like: - the hotel is open to the sea with space & trees, no hustle-bustle here! - the pool and beach area are the best in chaweng! - price is relatively high but much more valuable compare to some other overpriced hotels Could improve: - the room AC is real cold and face the bed head.. - the room had plenty of accessories including a computer... however this one was not up-to-date and couldn't browse most web-site.. (useful?) - the restaurant quality was not constant: we loved the breakfast and the 'Fondant au chocolate' however other dishes lacked attention (ex. hard garlic bread, not really fresh, under-cooked foie-gras).. which is NOT OK in view of the high price of the meal. - lastly some of the staffs were more looking for their tips than serving the customers. Which is bad because some other members where great! In particular at the restaurant a server gave use a quite rude before having its tips and then changed to a totally over-acted friendly attitude. Its a details but after a couple of time it really tend to ruin the atmosphere. Still if you want a relaxing and modern hotel with a touch of originality, we think the library is among the bests in chaweng. Everything about this hotel was good. I have nothing more to add except to say that they will make you feel special and if you're celebrating a special occasion, tell them! A surprise will await you. Sure to please that someone special. The red pool is very interesting. There's actually jazz music being played below when you swim. Movie library has an extensive selection of Bluray to rent! Last but not least, the rooms were just immaculate. Only thing to watch out is for mosquitos. They are attracted to anything black in colour. The room floors are all black. So if you happen to open your doors, be prepared to suffer the same night from those irritating mosquitos! Excellent! Awesome resort, modern and innovative. Staff are terrific, nothing was too much trouble. We stayed 7 nights with our 3 year old who had a ball in the pools. Our booking included breakfast daily, delicious and varied menu rather than a buffet which meant it was all freshly made for us. Restaurant meals really good, best Wagyu steak we've had in ages. The location was the best that you can get in Koh Samui with chaweng beach at the back and the koh samui hotspot where all the restaurants and shopping/massages are at the front of the entrance. Hotel was also very spacious with a lot of greeneries and very good taste in design. its a good stay in the town, the hotel beach is really good, quiet with fine white sand. will choose again next time. the staff in the hotel is friendly, they are trying to give any possible help before we ask. This has turned out to be one of my fav stays! The design, the layout and the little details to make the experience truly unique were 'soul' refreshing! The staff was awesome too. I have troubled them a couple of times but they were always there with a smile. Wished I had stay longer than a night but I will the next time! I stayed 2 nights in suite room. Good and peaceful place for leisure. Located in lively Chaweng beach of Koh Samui. There is in-room wi-fi and 21.5" iMac provided. Large bathroom. A unique red swimming pool is so nice. Great breakfast. A great place for relaxing! i came here for 3 days with my 7 year old daughter and as it was rainy season, we maximised the k library for entertainment when we couldn't be outside. the staff were very helpful and the rooms were a amazing. food also excellent. i enjoyed my stay at this hotel but the service was a bit lacking for the price. the staff does not speak good english which can lead to some unfortunate issues. location is great, right on the beach, and breakfast is delicious. i recommend staying here overall. Very nice and excellent hotel. We really love it. The concept of The Library hotel is very strong and very brilliant. The beach very nice. The room is big, clean, and comfort. My kids very enjoy with the room, the library, the pool and the beach. We will always remember The Library Hotel. Very amazing..... From my heart I like very much the concept of that hotel..... Reading reading reading and reading......very nice concept. What we like: Great location, wonderful service, and beautiful hotel design. My wife and I just had a short 3 nights stay in The Library (mid June 2011). It was a wonderful experience with the hotel as it's strategically located at the center of Chaweng - shopping/clubs/bars/restaurants/massages... etc, everything is within walking distance. this is the second time that i stayed at the library and i am stil impressed. the service is excellent and the food is great, especially the breakfast! if you can splurge on a 5-star, this would be the hotel i would recommend. the room is magnificent and clean and very zen. i really like this hotel. 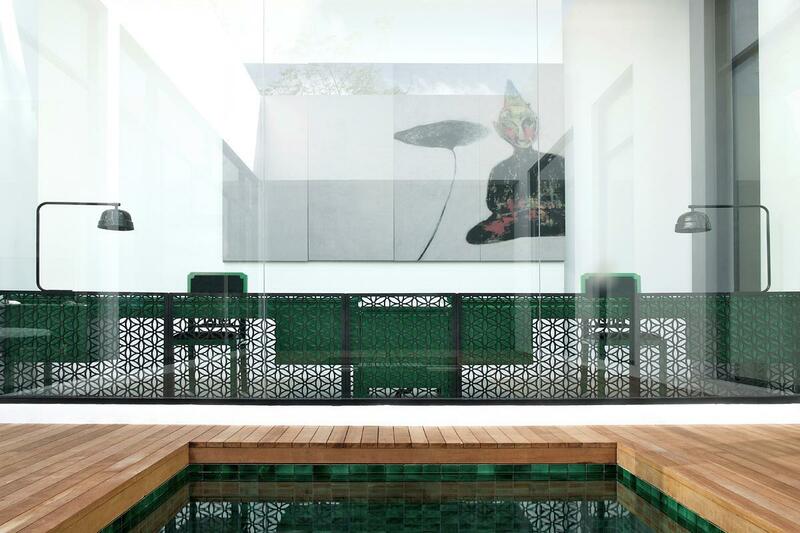 Located in the middle of Chaweng beach in a beautifully intimate garden, this place is a private design oasis hidden between all the shops and general Thailand mess. Beautiful huge white box rooms, coupled with great staff and a fantastic restaurant. If you need a few days wind down in front of the ocean or the pool, and want to be treated like you deserve to be, this is the place. Good location. Friendly staff. Nice wine selection. High price for room and all services. Spa is not in the hotel. Nice design but no privacy (except when all curtains are shut) as people stay in opposite rooms and who walk can see the room. Small window in bathroom opens to the stairs, which share the usage with the other room. The parking lot is not enough. The hotel location is ok in Chaweng, very convenient to go for shopping, dining, travelling around. The staffs are very nice, helpful, and informative. 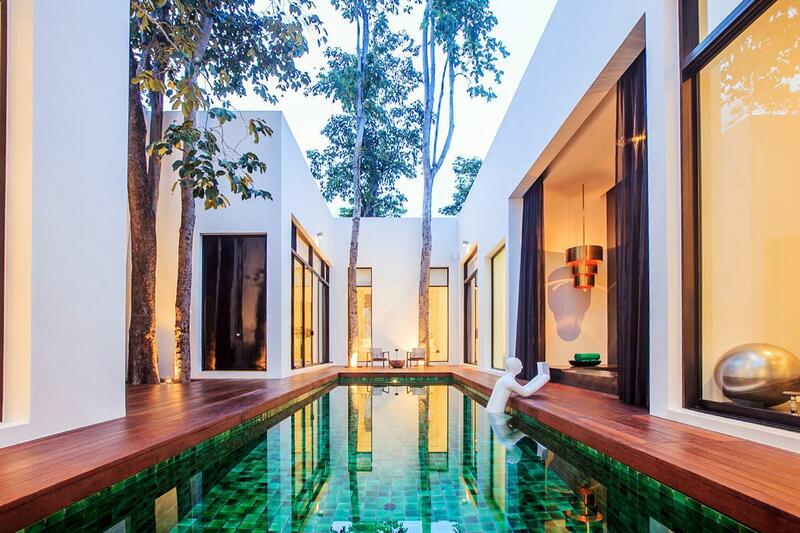 The hotel is one of seven design hotels in Thailand. So, the design is exceptional. The room decoration and bath room are white, very clean and hygienic. The swimming pool is red, very different from what I experienced else where. The hotel has only 26 rooms, so it’s very private and exclusive. They also have a wine buffet for just 450THB per hour. It is a great value for the wine lover like me.